The Wardrobe Architect: January Challenge | Oh Sarah O ! As you'll recall, I decided to participate in the Coletterie's Wardrobe Architect 2015 Challenge. 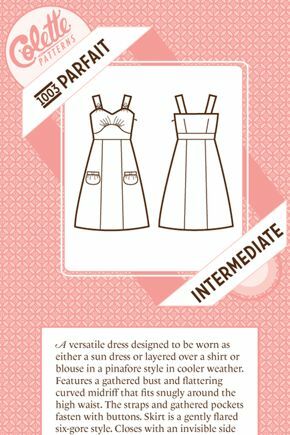 January's challenge was to look at the Wardrobe Architect weeks 1-4 to examine and determine my core style, but the 2015 challenge kicked the challenge up a notch by asking participants to try to come up with at least 20 patterns or designs in different categories of clothing, such as tops, blouses, pants, skirts, or outerwear that fit our style that we would like to make. Since I already participated in the Wardrobe Architect Challenge last year, I re-examined last year's exercises and last year's Personal Style Pinterest board to see if my style had changed. Then I created a new Spring/ Summer 2015 Fashion Inspiration board to collect my inspirational images. Follow Sarah's board Spring/ Summer 2015 Fashion inspiration on Pinterest. I also started a sketchbook page to sketch out my ideas for new wardrobe pieces. Overall, my style history, icons, and silhouettes haven't really changed in the last year- they've just become more refined. I still have a pear/ hourglass figure and I prefer shapes that flatter my figure. Since I've taken more notice in the clothes I wear, I know that I favor pants and shorts over skirts and dresses because they fit my lifestyle better. I like my tops to be fitted (even though I have been known to experiment with boxy shapes on occasion) and I like my pants to be straight or boot-cut but I am curious to see if I could pull off a wider pant. I can't do short-shorts or capris, so I need my shorts to be at a happy medium. The main reason I like the Calais top is because it reminds me of Faye Dunaway's sweater from the film, Bonnie and Clyde, and I already have the yarn to make it. 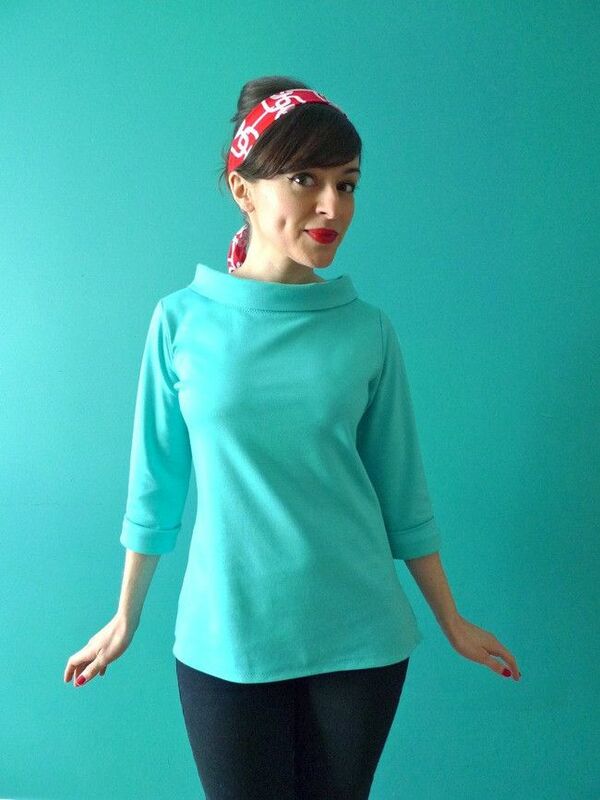 This shirt looks comfortable, easy to wear, and the collar adds a bit of fun. I could see myself in this top. The Coco looks comfortable, it's got a vintage 'Briditte Bardot' style, and I already own the pattern. Looks like this is on my must make list. What's appealing about this top is that the silhouette reminds me of one of my favorite easy breezy summer tops. 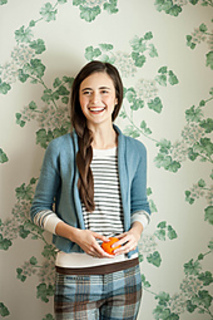 This is another sweater that I've already bought the yarn to make. It does have a classic vibe. 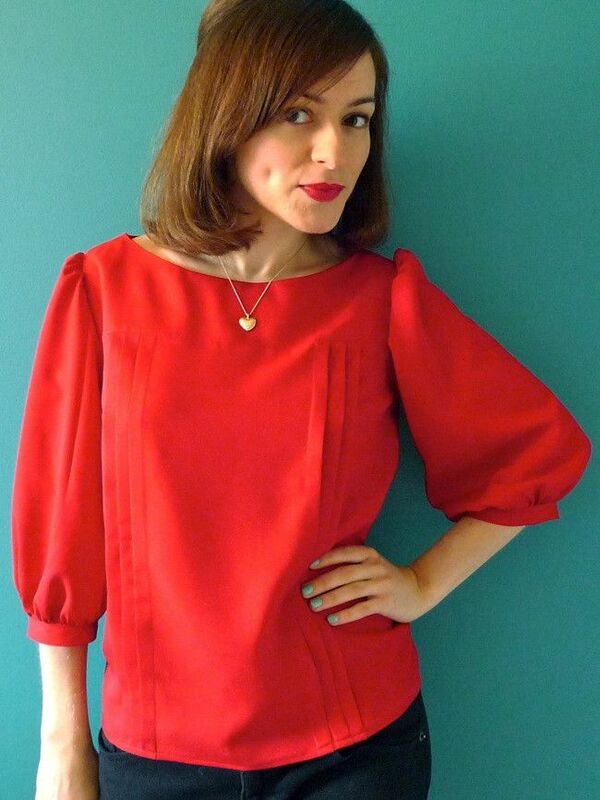 I just purchased this pattern because it's got a classic silhouette and I like the collar. I've heard that the pattern can be a bit wide, but I have seen some tutorials online to make this more fitted to my liking. I wear my button down shirts All.The.Time. I'd love to make my own button down shirt in hot pink, grid pattern, or another fun print. I already own this pattern and I've seen a lot of great versions online, although I'm not sure how this will look on my figure. Wide-leg 1970's pants are trending, and I'd love to have a pair in navy, black and white stripe, and grid pattern. These would make amazing sailor shorts! I could imagine myself making these in black and white polka dot print. 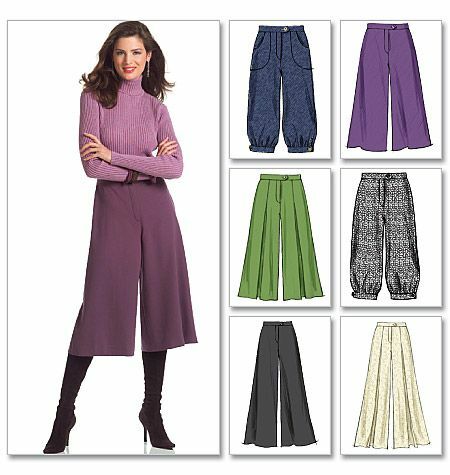 I've been curious about exploring the culotte trend or making a pair of extra wide legged pants, but I'm on the fence. I already have this pattern in my collection. 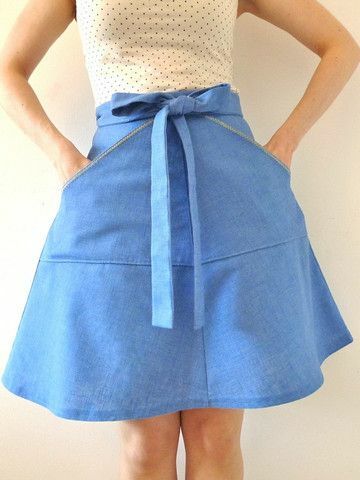 I've seen a lot of great Zinnia skirts online. I've already started sewing up a tye dye Moneta and just need to finish it up. 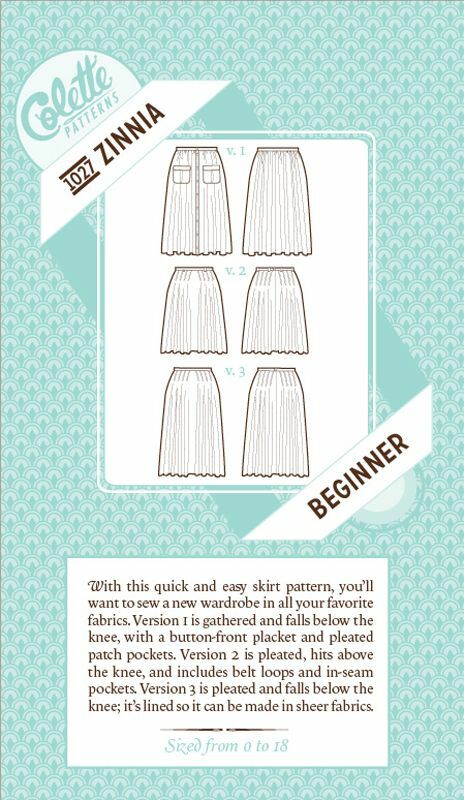 This pattern is already in my collection and could be cute as a pinafore a fun summer dress in a quirky print. I feel like a good shirtdress could be a great staple piece and maybe this is the one for me. 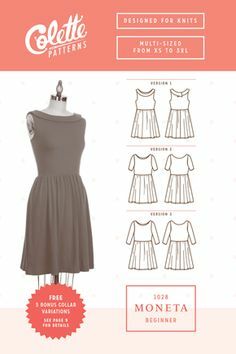 This looks like an easy, classic piece that could be worn with anything. I know I should be focusing on spring/summer pieces, but I've also been drooling over tons of capes. This is also an exceptional looking cape. Right now my make list is way overly-ambitious and overwhelming, but I'll be refining my sewing/ knitting list as this process goes along. Feel free to tell me your opinions if there is a particular pattern or silhouette you'd like to see me try. Next month the focus will be on cleaning out my closet and taking inventory.